with a blaze of publicity and excited talk about how it would be the next killer app. Just weeks later, Twitter countered with its own app, Periscope. The apps allow people to livestream video of whatever they want to their followers. So far, brands have barely touched the apps, but voices in the Australian market are starting to ask whether they could leverage the technology to reach new audiences. Social director at Society Matt Ticehurst told AdNews discussions were at a very nascent stage, but the agency saw the potential for the technology. “It's going to amplify the reach of existing social media influencers, and it also brings up the prospect of more being able to essentially create new social media influencers that brands can attach themselves to,” Ticehurst said. Social media agencies have been hard at work to try and identify social media influencers, as the content they produce is seen as more authentic than messages sent out by brands. 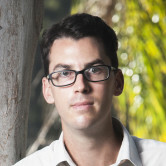 Head of digital and business development at Social Soup Thomas Lyngsfeldt said in his recent AdNews column that “paid media blindness” was starting to take hold in Australia, leading the agency to develop a strategy for encouraging user generated content. “User generated content (UGC) from peers is on the rise and is the most effective marketing weapon in the marketing toolbox for brands who know how to use it effectively,” Lyngsfeldt wrote. Campaign director at G Squared George Pappas told AdNews this morning that Australian brands would eventually look to Meerkat and Periscope as a source of social media influencers, but it would be a slow journey. “It could create a whole new set of social media influencers which is an area brands are keen to explore right now, but brands and marketers in Australia really are behind the eight ball when it comes to social media adoption,” Pappas said. Both Pappas and Ticehurst said the app may eventually lead to pre or post-roll video opportunities on the most popular streams. Pappas also noted that brands that are content creators, such as sporting codes, could leverage the technology to create another layer to the brand experience. “Obviously you wouldn't broadcast the whole thing [sporting match], but if you put something on it from the sidelines from a fan's perspective, that would be very interesting,” Pappas said. “Sports marketers right now are trying to move away from that highly-polished content piece and create something more authentic, so putting the content in fans' hands is something which could play into these apps. Vizeum digital director Jane Clinch, however, warned while the potential was there, the weight for heavy investment in the space wasn't. “The question will be if the volumes of people watching and the quality of those engagements will warrant focusing on this space and as always brands will have to prove they can add value to the communities of people participating on the platform,” Clinch said. Meerkat and Periscope – what do they offer marketers? Live streaming apps Meerkat and Periscope are the talk of Silicon Valley, but they'll need a lot more maturation before Australian marketers jump on board the hype train. Meerkat was named the breakout app at the SXSW festival in Austin with a blaze of publicity and excited talk about how it would be the next killer app. Just weeks later, Twitter countered with its own app, Periscope. 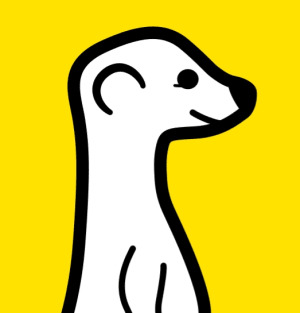 SXSW: Live streaming app Meerkat was the breakout - what does it mean for live TV?